Created to fit into the supermini segment of the market, the Alfa Romeo MiTo was a bit of a risk for Alfa. The MiTo is cute from every angle and keeps in line with Alfa Romeo's reputation for good-looking cars. This car features technology such as the DNA system, which helps the driver decide what type of set-up they want for their MiTo and it represented the first properly modern Alfa Romeo. There are three specs to choose from, the Turismo, the Veloce and the Lusso, with the latter being the top of the range. 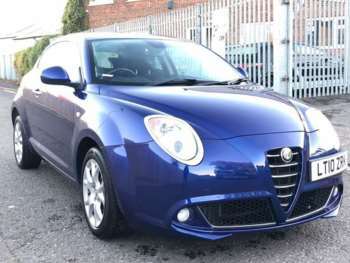 Whichever used Alfa Romeo MiTo you choose, you’ll get a cracking little supermini with bags of character and style. What it lacks in boots space and size, it more than makes up for in agility, eagerness and charm. This model with also provide you with a MultiAir engine which offers both economy and performance, and when combined with the DNA system, the MiTo is a barrel of laughs.